This weekend I said goodbye to my brown bear. He went to his new home and I hope he’s greatly loved. I didn’t really want to say goodbye, and neither did my daughter, so I may have to make another, just for us. I sent some samples to a photographer friend of mine – Rudi Wells of Rudi Wells Fotografie based in Hoofddorp and he gave me a bit of a plug. Rudi’s The Man amongst the Amsterdam expat mamas and has a serious amount of influence, so his help here has already been invaluable, generating new orders and interest! And so, because of this interest, the time has come to actually get on with adding stock to my empty Etsy store. I’ve been busy editing photos; well, editing is probably a bit extravagant a term – more like cropping and watermarking photos and getting ready to start listing. First up will be the brown bear! Wish me luck. As usual on Mondays, pop over to visit Molly from The Move to America and link up with her for the Monday Coffee Morning. This entry was posted in Monday and tagged amigurumi, crochet, etsy, monday, morning cup of jo, projects. Bookmark the permalink. He does look adorable. Is he loads of work? Thanks! The head was, it’s massive. But totally worth it. Thank you! Luckily he’s very sturdy and has been thoroughly “tested” by my toddler before moving to his new home. 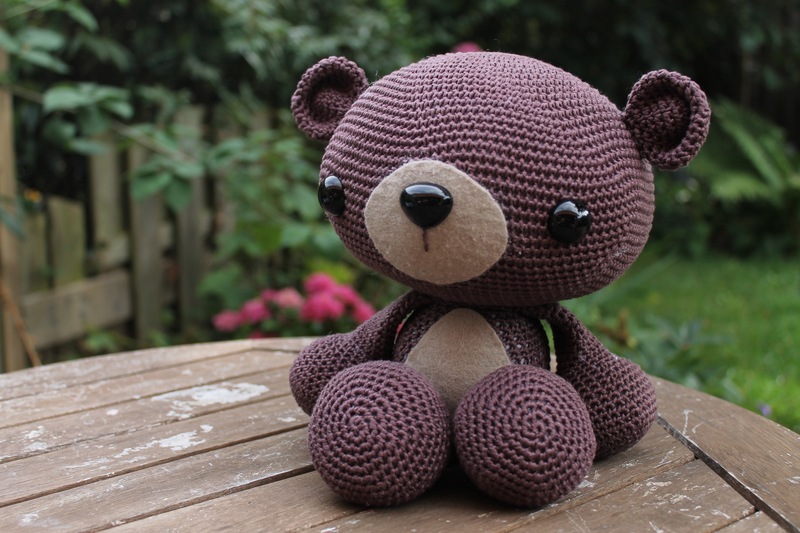 I love the brown bear and hope he has found a loving home! Thanks again for joining in with my Monday Coffee Morning bloggers social – I am still trying to get to grips with this blogging world and appreciate the help! It’s an awesome link up, really motivates me to post!